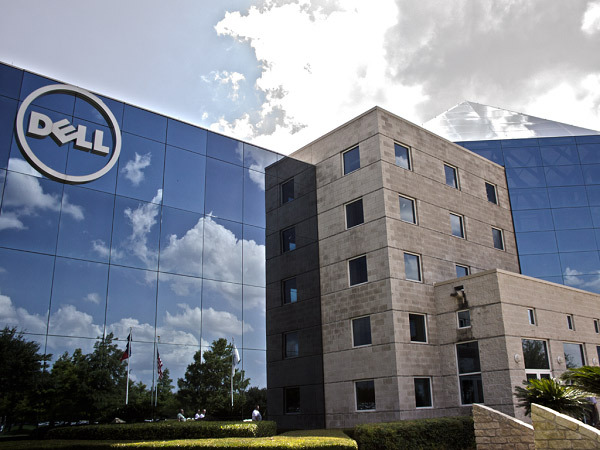 A press release from Dell Technologies has shown that the Texas-based company has enjoyed strong results for the first financial quarter of fiscal year 2019. Total net revenue stood at US$21.4 billion, which is a considerable increase over the US$18 billion revenue earned for the first quarter of the previous fiscal year. We had a strong first quarter with balanced growth across all business units, regions, and customer segments. Our broad set of capabilities, enhanced by our targeted investments over the last year, drove strong top-line momentum and improved profitability, allowing us to generate good operating cash flow and make progress paying down our core debt. In regard to core debt, Dell Technologies paid off around US$600 million of the company’s debt, which now totals US$39.8 billion according to the report. Sales of servers and PCs were strong and the VMware subsidiary performed well, with segment revenue of US$2 billion. This was an improvement on the previous year’s result of US$1.8 billion. The company’s Infrastructure Solutions Group (ISG), Dell EMC, nearly doubled its operating income, from US$506 million to US$939 million. Dell EMC mainly focuses on storage solutions and information security products. Dell Technologies (NYSE: DVMT) announces its fiscal 2019 first quarter results. For the first quarter, revenue was $21.4 billion, up 19 percent, and non-GAAP revenue was $21.5 billion, up 17 percent from the prior period. During the quarter, the company generated a GAAP operating loss of $153 million1, with a non-GAAP operating income of $2.0 billion, up 42 percent. "We had a strong first quarter with balanced growth across all business units, regions, and customer segments," said Tom Sweet, chief financial officer, Dell Technologies. "Our broad set of capabilities, enhanced by our targeted investments over the last year, drove strong top-line momentum and improved profitability, allowing us to generate good operating cash flow and make progress paying down our core debt2." The company ended the quarter with a cash and investments balance of $21.7 billion, an increase of $1.4 billion from the prior quarter and an increase of $6.7 billion from last year. Cash generation in the first quarter was seasonally strong given the overall velocity in the business. During the first quarter, Dell Technologies paid down approximately $600 million of core debt, ending the quarter with a core debt balance of $39.8 billion. Subsequent to the end of the quarter, the company paid down another $2.5 billion of core debt bringing the gross debt paid down to $13 billion since the close of the EMC transaction. Dell Technologies' first quarter fiscal 2019 non-GAAP operating income excludes approximately $2.2 billion of adjustments, primarily related to purchase accounting and amortization of intangible assets. Information about Dell Technologies' use of non-GAAP financial information is provided under "Non-GAAP Financial Measures" below. All comparisons in this press release are year over year unless otherwise noted. "The great momentum we saw exiting last year for servers and commercial client continued through the first quarter. We gained share in PCs and servers during the first calendar quarter and, when the numbers are revealed, expect to gain share in storage, as well," said Jeff Clarke, vice-chairman, Products & Operations, Dell Technologies. "We're pleased but not satisfied and will continue focusing our energy and resources on what matters most to our customers." Infrastructure Solutions Group revenue for the first quarter was $8.7 billion, a 25 percent increase. This was driven by 41 percent year-over-year growth in servers and networking to $4.6 billion and 10 percent growth in storage to $4.1 billion. Operating income was $939 million or 10.8 percent of revenue for the first quarter. Following positive demand growth in its fiscal fourth quarter, Dell expects to gain share year-over-year in storage when the first calendar quarter 2018 storage industry share numbers are final. This will be its first quarter of storage share gain since closing the EMC transaction. "Storage systems spending is forecasted to grow 9.8 percent year-over-year in the first quarter of 2018 and we expect, when IDC releases first quarter market share, Dell EMC's storage business will outperform the market and gain share," said Matt Eastwood, senior vice president of IDC's enterprise, datacenter, cloud infrastructure and developer research groups. Client Solutions Group revenue for the first quarter was $10.3 billion, up 14 percent versus the first quarter of last year. Commercial revenue grew 16 percent to $7.4 billion and Consumer revenue was up 7 percent to $2.9 billion. Operating income for the first quarter was $533 million, a 64 percent increase and was 5.2 percent of revenue. VMware segment revenue for the first quarter was $2.0 billion, up 12 percent, with operating income of $613 million or 30.2 percent of revenue. First quarter revenue from other businesses, including RSA, Pivotal, Secureworks, Virtustream and Boomi was $579 million, up 9 percent. Dell Technologies hosted its annual Dell Technologies World conference in May, its largest ever with more than 14,000 attendees from 131 countries and more than 70,000 joining online through an online virtual video experience. Digital transformation is fundamentally changing how every business in every industry is built and operated, and Dell Technologies provides IT practitioners with a one-stop shop for the essential infrastructure they need to build their digital future, transform IT and protect their most important digital assets from the edge, to the core to the cloud. Dell Technologies demonstrated the power of its broad and innovative portfolio of IT infrastructure, applications, devices and security that enable real transformation. The company announced breakthrough modern data center solutions including the new Dell EMC PowerMax storage array, with end-to-end NVMe and a built-in, real-time machine learning engine. It also previewed Dell EMC PowerEdge MX (coming in the second half of this year), a new modular infrastructure solution designed to enable customers to flexibly configure and optimize their IT infrastructure for new and emerging workloads. In addition, Dell and Dell EMC are uniquely delivering artificial intelligence, machine learning and deep learning capabilities from the desktop to the data center, unveiling two new 14th generation Dell EMC PowerEdge four-socket servers and the new Dell Precision Optimizer 5.0, which uses AI to automatically adjust applications running on Dell Precision workstations to customize and optimize performance. As previously announced, the company will hold a conference call to discuss its first quarter performance today at 7 a.m. CDT. The conference call will be broadcast live over the internet and can be accessed at investors.delltechnologies.com. For those unable to listen to the live broadcast, an archived version will be available at the same location for one year. A slide presentation containing additional financial and operating information may be downloaded from Dell Technologies' website at investors.delltechnologies.com. 1 Due to the EMC transaction, significant non-cash bridging items will remain between GAAP and non-GAAP results for the next few years. 2 Core Debt represents the total principal amount of the company's debt, less unrestricted subsidiary debt, DFS related debt, and other debt. This press release presents information about Dell Technologies' non-GAAP net revenue, non-GAAP gross margin, non-GAAP operating expenses, non-GAAP operating income, non-GAAP net income, EBITDA and adjusted EBITDA, which are non-GAAP financial measures provided as a supplement to the results provided in accordance with generally accepted accounting principles in the United States of America ("GAAP"). A reconciliation of each of the foregoing historical non-GAAP financial measures to the most directly comparable historical GAAP financial measures is provided in the attached tables for each of the fiscal periods indicated. Dell Technologies' results or events in future periods could differ materially from those expressed or implied by these forward-looking statements because of risks, uncertainties, and other factors that include, but are not limited to, the following: competitive pressures; Dell Technologies' reliance on third-party suppliers for products and components including reliance on single-source or limited-source suppliers; Dell Technologies' ability to achieve favorable pricing from its vendors; adverse global economic conditions and instability in financial markets; Dell Technologies' execution of its growth, business and acquisition strategies; the success of Dell Technologies' cost efficiency measures; Dell Technologies' ability to manage solutions and products and services transitions in an effective manner; Dell Technologies' ability to deliver high-quality products and services; Dell Technologies' foreign operations and ability to generate substantial non-U.S.net revenue; Dell Technologies' product, customer, and geographic sales mix, and seasonal sales trends; the performance of Dell Technologies' sales channel partners; access to the capital markets by Dell Technologies or its customers; weak economic conditions and additional regulation; counterparty default risks; the loss by Dell Technologies of any services contracts with its customers, including government contracts, and its ability to perform such contracts at its estimated costs; Dell Technologies' ability to develop and protect its proprietary intellectual property or obtain licenses to intellectual property developed by others on commercially reasonable and competitive terms; infrastructure disruptions, cyberattacks, or other data security breaches; Dell Technologies' ability to hedge effectively its exposure to fluctuations in foreign currency exchange rates and interest rates; expiration of tax holidays or favorable tax rate structures, or unfavorable outcomes in tax audits and other tax compliance matters; impairment of portfolio investments; unfavorable results of legal proceedings; increased costs and additional regulations and requirements as a result of Dell Technologies operation as a public company; Dell Technologies' ability to develop and maintain effective internal control over financial reporting; compliance requirements of changing environmental and safety laws; the effect of armed hostilities, terrorism, natural disasters, and public health issues; Dell Technologies' substantial level of indebtedness; the impact of the financial performance of VMware; and the market volatility of Dell Technologies' pension plan assets. This list of risks, uncertainties, and other factors is not complete. Dell Technologies discusses some of these matters more fully, as well as certain risk factors that could affect the Dell Technologies' business, financial condition, results of operations, and prospects, in its reports filed with the Securities and Exchange Commission, including Dell Technologies' Annual Report on Form 10-K for the fiscal year ended February 2, 2018, quarterly reports on Form 10-Q, and current reports on Form 8-K. These filings are available for review through the Securities and Exchange Commission's website at www.sec.gov. Any or all forward-looking statements Dell Technologies makes may turn out to be wrong and can be affected by inaccurate assumptions Dell Technologies might make or by known or unknown risks, uncertainties and other factors, including those identified in this press release. Accordingly, you should not place undue reliance on the forward-looking statements made in this press release, which speak only as of its date. Dell Technologies does not undertake to update, and expressly disclaims any duty to update, its forward-looking statements, whether as a result of circumstances or events that arise after the date they are made, new information, or otherwise. Net loss attributable to Dell Technologies Inc.
(a) Other businesses consist of RSA Information Security, Pivotal, SecureWorks, Virtustream, and Boomi and do not constitute a reportable segment, either individually or collectively, as the results of the businesses are not material to the Company's overall results and the businesses do not meet the criteria for reportable segments. (b) Unallocated transactions includes long-term incentives, certain short-term incentive compensation expenses, and other corporate items that are not allocated to Dell Technologies' reportable segments. (c) Impact of purchase accounting includes non-cash purchase accounting adjustments that are primarily related to the EMC merger transaction. (d) Transaction-related expenses includes acquisition, integration, and divestiture related costs. (e) Other corporate expenses includes severance and facility action costs as well as stock-based compensation expense. These tables present information about the Company's non-GAAP net revenue, non-GAAP gross margin, non-GAAP operating expenses, non-GAAP operating income, non-GAAP net income, EBITDA, and adjusted EBITDA, which are non-GAAP financial measures provided as a supplement to the results provided in accordance with generally accepted accounting principles in the United States of America ("GAAP"). A detailed discussion of Dell Technologies' reasons for including these non-GAAP financial measures, the limitations associated with these measures, the items excluded from these measures, and our reason for excluding those items are presented in "Management's Discussion and Analysis of Financial Condition and Results of Operations - Non-GAAP Financial Measures" in our periodic reports filed with the SEC. Dell Technologies encourages investors to review the non-GAAP discussion in conjunction with the presentation of non-GAAP financial measures.